Such marketplaces form a crucial institution that can support private sector growth and innovation, yet they’re inefficient in developing economies. We hypothesize that two key reasons are firms (i) lack information about the availability of these services, and (ii) cannot distinguish the quality of good versus bad providers. In developed economies, established communication channels, as well as formal reputation and quality signalling mechanisms help overcome these constraints, whereas in Nigeria the supporting institutions are underdeveloped and informal. This study involves a survey of SMEs in Lagos and Abuja about their information on business services, and providers in this marketplace to learn how they currently signal quality. We also conduct experiments to test whether SMEs will change how they use these services when provided with more information and third-party quality certifications. 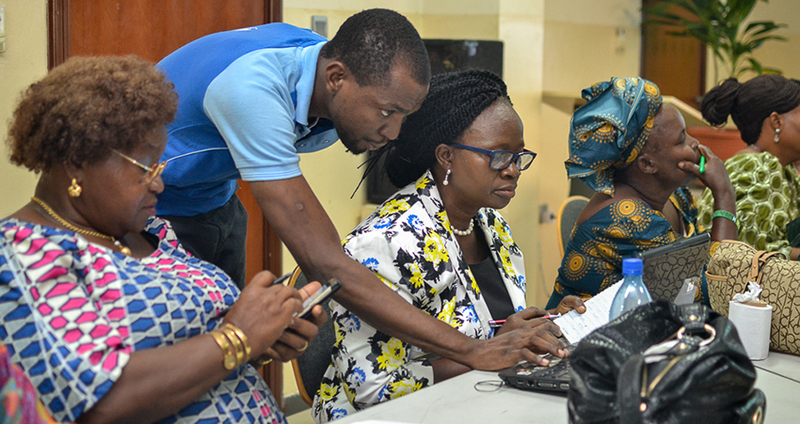 The project studies the case of the marketplace for business services in Nigeria’s capital city (Abuja) and most important city for business (Lagos) to understand how the formal and informal aspects of this market interact in enabling (or inhibiting) the private sector to build the skills it needs to grow and innovate. The research builds on knowledge gained through our earlier efforts to better understand the marketplace for these services, and to test whether providing a more formal reputation mechanism will change the use of these services for new firms coming into the program (in the second wave), as well as for other firms across the economy. This potentially influences the ways the World Bank and other governments try to engage the market in building business services moving forward.